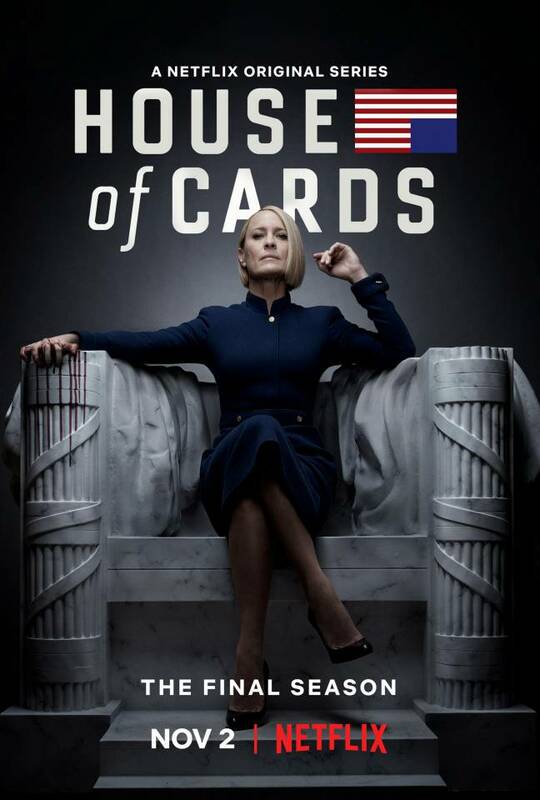 Emerging from the Kevin Spacey controversy to wrap up its story with a sixth and final season, House Of Cards has Robin Wright's President Claire Underwood front and centre. Netflix has now announced that the series will return on 2 November, and has released the first poster for the show's end point. 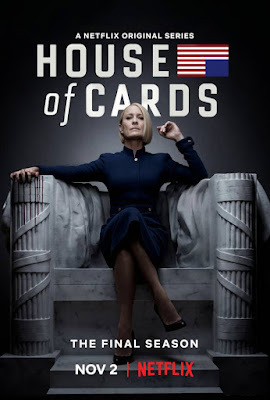 Diane Lane, Greg Kinnear and Cody Fern are among the new recruits for this season, while the likes of Michael Kelly, Jayne Atkinson, Patricia Clarkson, Constance Zimmer, Campbell Scott and Boris McGiver all return.